Nothing says royalty like this Adult Gold Royal Cape. You will be admired by many as you grace the masquerade ball from afar. This imperial cape is a satin shimmer polyester fabric that feels soft at the touch trimmed with black & white polka dots. 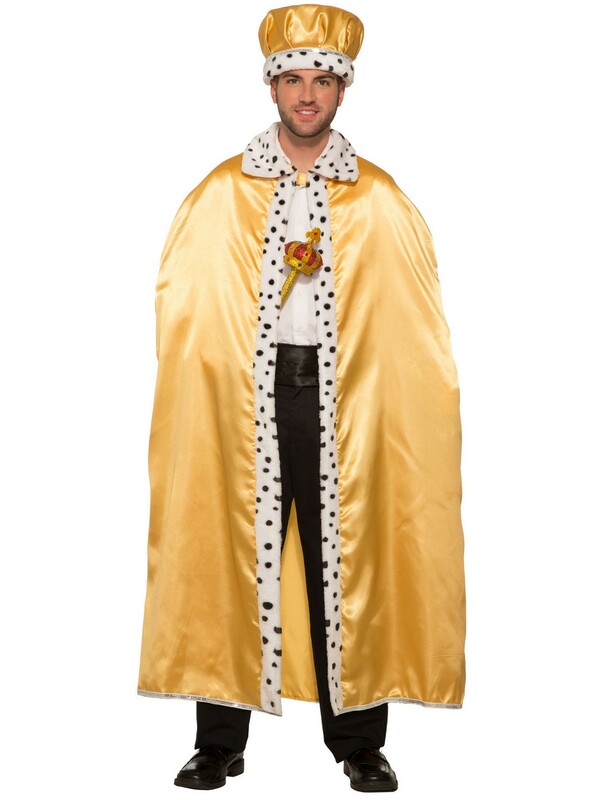 Scepter and crown are not included. It can be worn not only to the masquerade ball but any formal event. With the Halloween season coming up this would be a great choice for a costume party! Wearing this piece will have you from rags to riches.